Home » Films » Monday Movie Quote: BETTER OFF DEAD. Monday Movie Quote: BETTER OFF DEAD. Lane Myer (John Cusack): Sorry Johnny, I don’t have a dime. Johnny (Demian Slade): Didn’t ask for a dime. Two dollars. 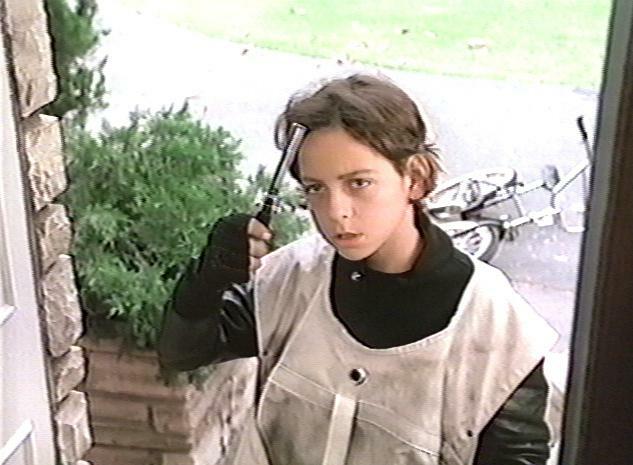 And so we are introduced to Johnny, the junior thug paperboy that becomes a seemingly constant threat to Lane Myer. Go into a room full of 30-40 year olds and say “I Want My Two Dollars” and chances are pretty good that at least some of them will know the line. While struggling with his mother’s inedible food, his father’s inability to communicate with him and his girlfriend dumping him for the oh-so-cool head of the ski team, Lane suddenly finds himself responsible for his parents’ newspaper bill. Is it any wonder he is contemplating suicide?